A performance exhaust system with as little restriction as possible to allow for optimum gas flow. Putting into the system as few bends as possible. Using free flow perforated tube silencers as opposed to baffled. The more power your vehicle has, the more gases it has to get rid of. So if your running a lot more power than standard it’s always worth looking into a larger bore system. We carry a huge stock of different bore sizes in stainless steel to suit any power or vehicle. As for turbo and supercharged cars as a rough guide, if your running between 200-300BHP your car will be happy with 2.5” system. When you start running more than 300BHP your forced induction engine will really benefit from having a 3” exhaust system to really allow those gasses to move as freely as possible. 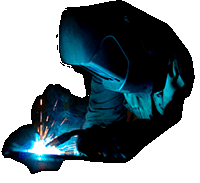 All our systems are made from T304 stainless steel TIG welded together with stainless welding rods. Our free flow silencers are made in house to the highest standard specifically for your vehicle, using perforated tube for the gasses to run straight through whilst using three types of packing material around the tube to dissipate any unwanted noise. We get a lot of people asking if exhaust tips do the silencing. This really is not the case as they have very little if any effect on sound or performance. We carry over 70 varieties of tailpipe, if none of these suit your need or you really want to be different we can custom make these too. Larger engines such as V8’s and V6’s often run two pipes for each bank of manifolds down the whole car, sometime converging in silencers some way down the car and separating again. We advise on these systems to use some sort of balance pipe. Older vehicle use and H-pipe setup and later cars use an X-pipe. Overall both of these help balance gas flow in the exhaust system but X-pipes have their advantages over H-pipes.